Marathon #73 was a repeat of Nebraska to try to get a sub-4 hour time. We ran through mists of 100% humidity, lost all the prize money to Kenyans, and caught up with some friends while also making some new ones. A successfully repeated State, full write-up is now here. 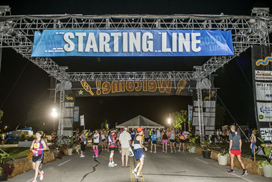 It brings our totals to 48 States with 45 of those being sub-4 hour finishes. 2 new States and 3 repeats to go! Of all the marathons we've done this is among the ones that I am the most proud of completing. 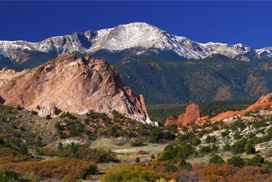 The Pikes Peak Marathon is one of the toughest marathons in the world and quite honestly I was nervous every day from the moment we signed up to the day of the event. This is a long blog post, but it was a long marathon and a huge experience! If you've got the time, give it a read. 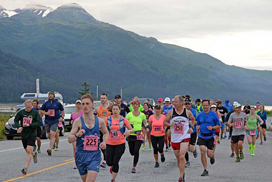 We returned to Alaska for the 2nd time to try for the sub-4 hour finish. This time we went to the capital, Juneau, which is located very far south of the state, close to the Canadian border. Who flies all the way to Alaska just for the weekend? Well, we did this time around, but we made the most of our trip there and even managed to fit in some exploring after the run. This race report is quite picture heavy but Juneau is spectacular! Iowa in the middle of summer, it was never going to be easy. The heat and humidity were draining and made for a tough run. 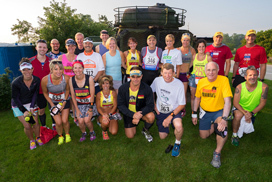 The organisers did a great job though and made sure all the runners got the liquids they needed. State #48 achieved and it took a lot of pushing but we also got the sub 4. 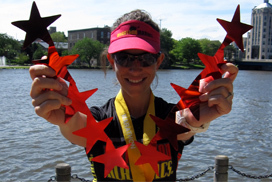 Other big milestones were that it was my 70th marathon and Leah's 60th! Full report here. We finished our longest streak of back-to-back weekends at Lake Placid, running 14 marathons in 14 weeks, all of which have been sub-4 hour finishes. We had a great time at Lake Placid and were reminded of how scenic New York State is, a completely different landscape from New York City. We also completed State #47, which while sounding so close to #50, is still a little farther than that as it's sub-4 State #41. Full report available. 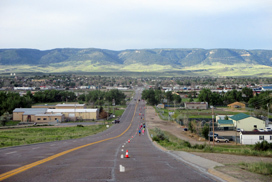 We returned to Wyoming to repeat the state for a sub-4 hour finish time. 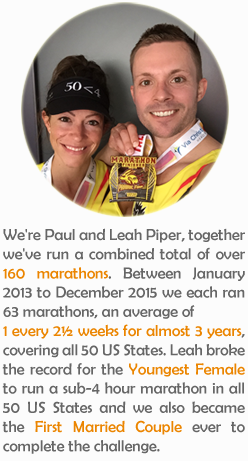 It was one of our slower marathons of the year so far but we managed to hit our target and achieve sub-4 state #40! 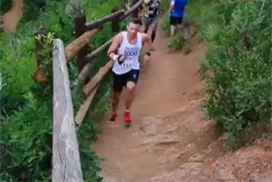 The tough run was definitely helped by a huge spread of food at the end, with everything from fruit to pizza and beers. I'm not sorry to say that the fruit didn't quite make it to our hands. Full write-up here. 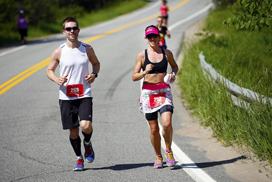 We loved the Vermont City Marathon! 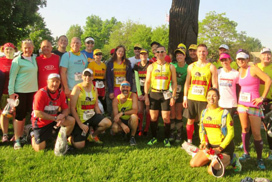 Not only was it a great event and popular with the Maniacs group, but also with a long Memorial Day weekend we were able to actually relax for once after the run and truly enjoy the post-race beers. It also meant we didn't feel even slightly guilty at consuming vast amounts of Ben & Jerry's ice-cream at the original iconic factory. All the details are here. Horse Capital was more like monsoon capital for us, but at least it was warm rain! 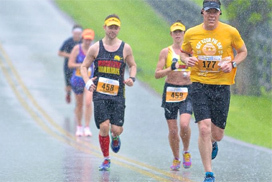 We were so soaked it became funny, but there were also periods where the rain held off and we were able to admire the rural landscape in Lexington, Kentucky, as we ran by some 40+ horse farms and a lot of horses. Leah won a nicely crafted award for 3rd place in her age group and we checked off our 45th State. Full report now online.